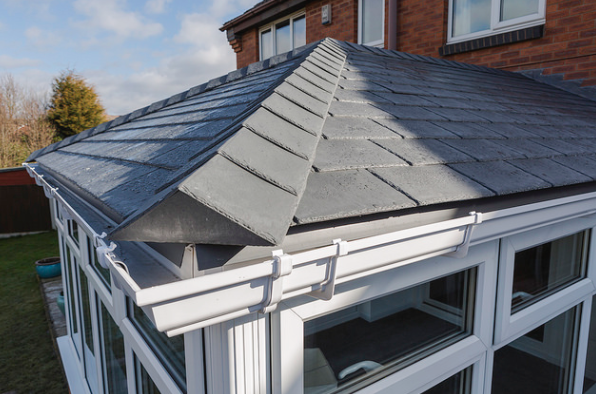 The Equinox is a high-tech tiled roof that can be finished in several different styles and designs to suit your every need. With the Equinox roof you know that you’re getting the most for your money, with its high energy efficiency rating, amazing looks and key security features it’s one not to be missed. The Equinox has multiple features that can changed to your liking, including the colour of the fascia, the guttering, and the design of the tiles. The roof tiles can be finished in several different styles including slate or steel, these tiles can also come in a range of different colours including Charcoal, Brick Red, Pewter Grey and Antique Red just to name a few. The inside can be finished in two choices; one being a smooth and silky plasterboard and the other being a tongue-and-groove. The Equinox can transform any flat roof, extension, porch or conservatory into a work of art. 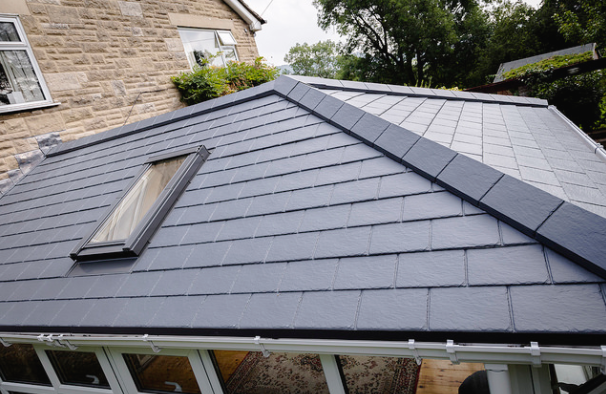 The solid roof provides great energy efficiency and an improved performance in reducing noise and glare, plus an exceptional saving on your heating bills. The Equinox comes in several styles to suit your property. There is the Victorian, Edwardian, Gable-Ended, Lean-To and the P- Shaped roof. If you’re feeling adventurous you can add a window or two to the Equinox. This would create a homely effect giving lots of light and making your conservatory feel part of your home. There are many benefits to owning an Equinox roof from Eurocell. They are very energy efficient meaning that they are fully insulated keeping a more constant temperature in the winter. You can also save money on your heating bills in the winter and still allow a lot of light in, in the summer. They’re easy to fit, making it a quick and easy process for our fitters which will save you time and money. The best thing about the Equinox roofs is that they are guaranteed for ten years and you get up to fifty years on the tiles.